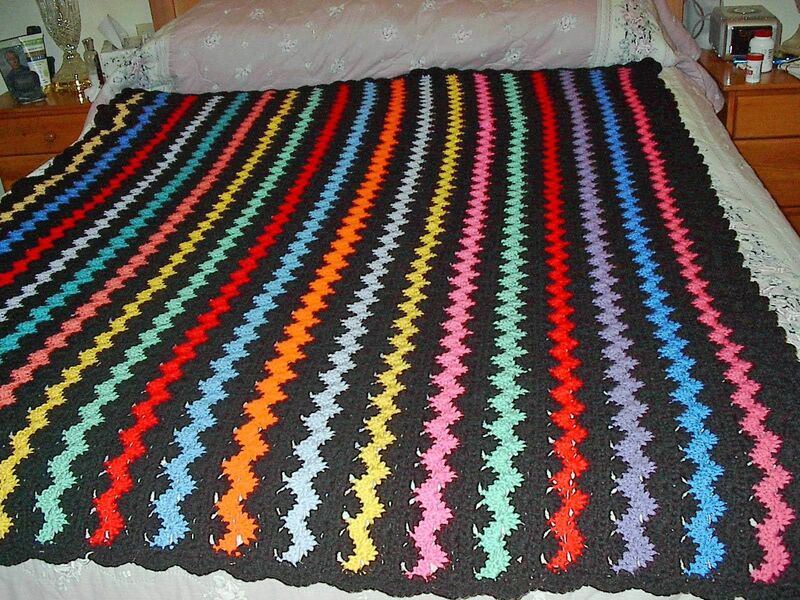 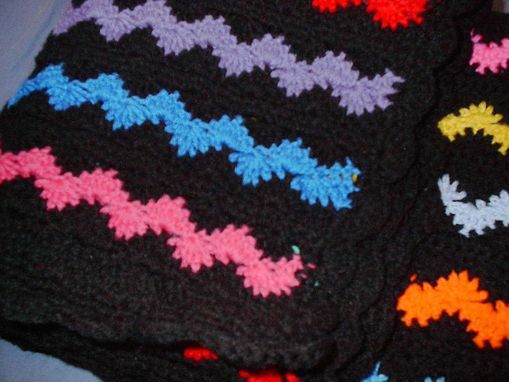 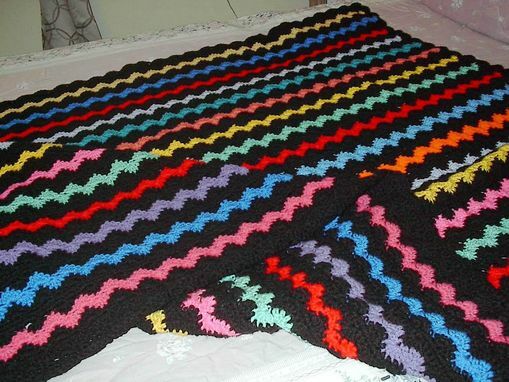 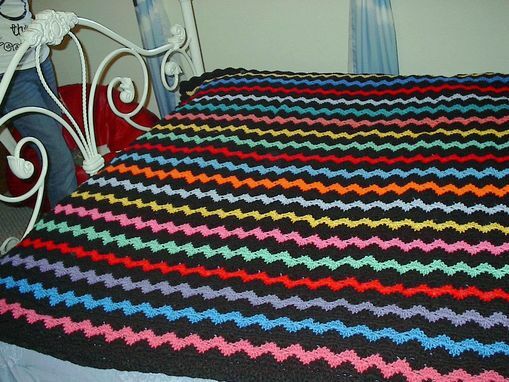 The "Psychedelic Afghan" featured measures 77" x 66" and is crocheted in bright cheerful colors with a black background. This was a fun way to use some of my scraps. 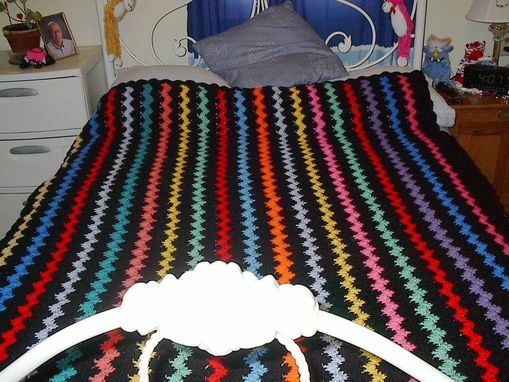 It is crocheted in worsted yarn and is washable.